Home » Summer is Coming – But Beware of Chemicals in Sunscreen! You can tell summer is on it’s way back, with the mercury is well over 30 some of the most densely populated parts of the country this week. It’s the time of year when we need to be careful when we’re out in the sun. Slip, slop, slap – the old saying goes, but is there anything else we need to worry about? We spoke with the team at Pauline De Los Reyes Skin Clinic in Williamstown, Melbourne to find out more about this issue. With all their experience in sugaring, waxing, microdermabrasion, and giving facials, they sure know what is and isn’t good for smooth, clear and healthy skin. Sunscreens are meant to protect your skin from harmful UV rays. A recent study shows that almost ninety percent of skin cancers and many signs of aging are all caused by UV damage. Unbeknownst to many however is the fact that sunscreens contain toxic chemicals that also increase the risk of cancer. In addition to this, many people are now concerned with increase of nano-particulates in sunscreen and the harm they may be causing to people who use them. Most conventional sunscreens on the market have chemical filters that include oxybenzone and retinyl palmitate, octics alate and avobenzone. Plenty of natural health gurus now advocate for mineral sunscreens that use titanium dioxide and, or zinc oxide instead. Below we will look at various active chemicals used in sunscreens and their effects on the skin. We will then discuss some mineral sunscreen alternatives. * High concentrations of oxybenzone may lead to poisoning. * When it accumulates in the skin, it causes a strong photochemical reaction that can lead to eczema. * It may damage the skin’s natural protective properties leaving it exposed to other harmful substances. * It increases the amount of free radicals that can destroy the genetic structure of cells. It is an ingredient common in several brands of sunscreens and skin care products. Octinoxate is famous for its efficient absorption of UV rays. While the chemical is necessary for the effectiveness of sunscreen, long-term use may cause several side-effects. * Octinoxate increases the development of estrogen in the body. High levels of estrogen lead to the development of breast cancer. * It decreases thyroid hormones in the bloodstream and often disrupts normal thyroid function. * The adverse effects linger on not only women but also the male reproductive system. Men who use products containing this chemical, for example, report a lower sperm count. The chemical is often used as an additive in sunscreens since it has skin moisturizing properties. It also neutralizes UV radiation. It does however exhibits some negative side effects. * When used in large quantities, it increases the danger of forming free radicals that may be unstable. * It can negatively affects the reproductive system. Many dermatologists advocate for the use of mineral sunscreens as they do not pose the same level of harmful side effects. They often contain physical UV blockers; titanium and zinc oxide. However, manufacturers coat the metals with inert chemicals to minimize photo activity. 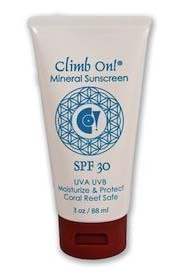 What’s more, the minerals are used in limited amounts to maximize sun protection and minimize risks to users. * They are less irritating to sensitive skin. * They are photostable i.e. they do not break down in the light. * They are safer compared to chemical sunscreens. As earlier highlighted, chemical sunscreens are linked to side effects such as cell damage and hormone disruption that is not the case with mineral sunscreens. There are many organic and mineral sunscreens on the market which are generally safer for you to use than the regular chemist bought brands. Here is a good guide on sunscreen for you to review, but make sure you still read over the ingredient before you buy! The toxic properties of their active ingredients erode the benefits of regular sunscreens. While plenty of research is ongoing about these chemicals and their side effects, they deserve special scrutiny and many of the additives are already known carcinogens. Take special care this summer when purchasing your sunscreen and keep your skin safe, from the sun and from any nasty toxic chemicals.